It’s me, “K” from the Happy Dungeons Development Team. 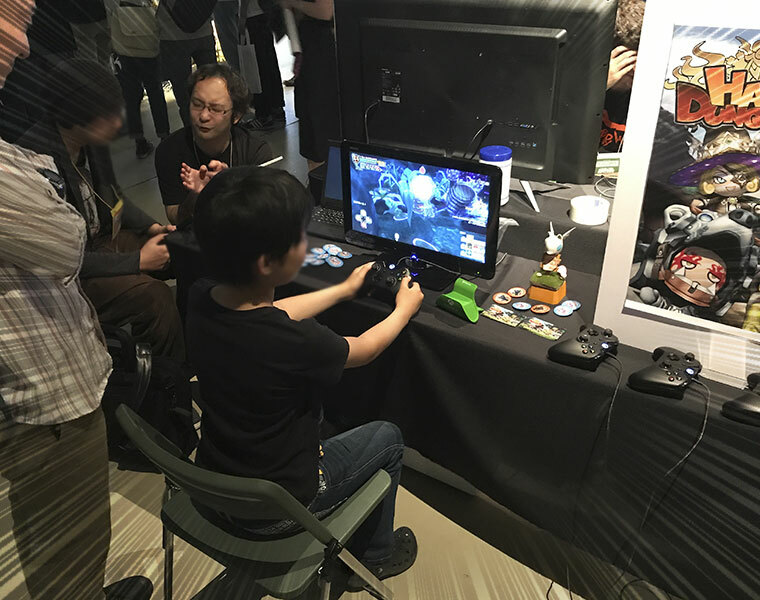 Last week, Happy Dungeons was in Kyoto City, Japan for the A 5th of BitSummit indie festival! 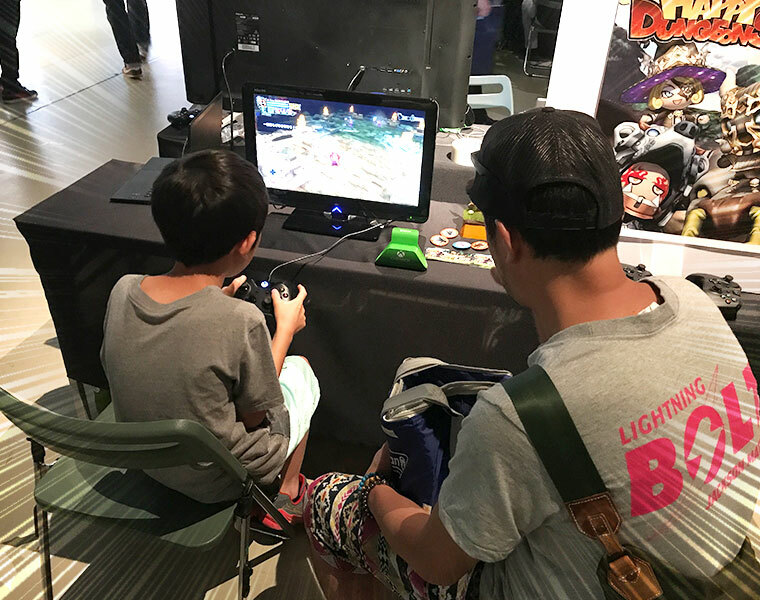 BitSummit is an annual event where indie game developers can show their creations to players from all over! Now that that’s out of the way, let’s move on to the event report! …speaking of the booth, check it out here! Next, here’s our one-of-a-kind Dinkies figure, produced in Toylogic’s secret underground laboratory! Oh, and let’s not forget the exclusive badge and card we handed out to everyone who came out and played! With that, our preparations were complete! 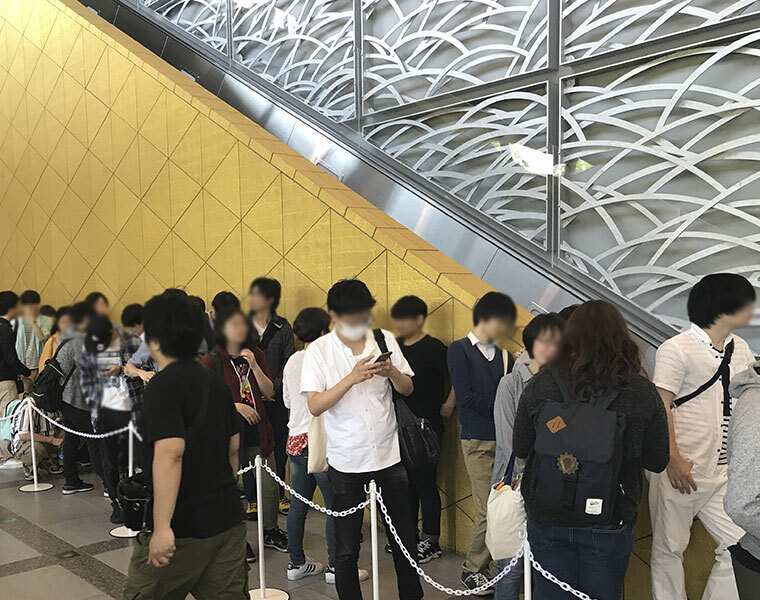 …a massive line! It looked like a storm was coming! Every booth in attendance was soon swamped with a wave of attendees! That includes us, as well. A Happy young man, too! It was a constant stream of people! The exclusive badges we were giving out to attendees who came to play ran out a whole two hours before the event ended for the day! Argh! If only we’d brought more!! To everyone who didn’t get one, I’m so very sorry!! That said, the best part of this event were all of the responses we received from the people who came out to play! 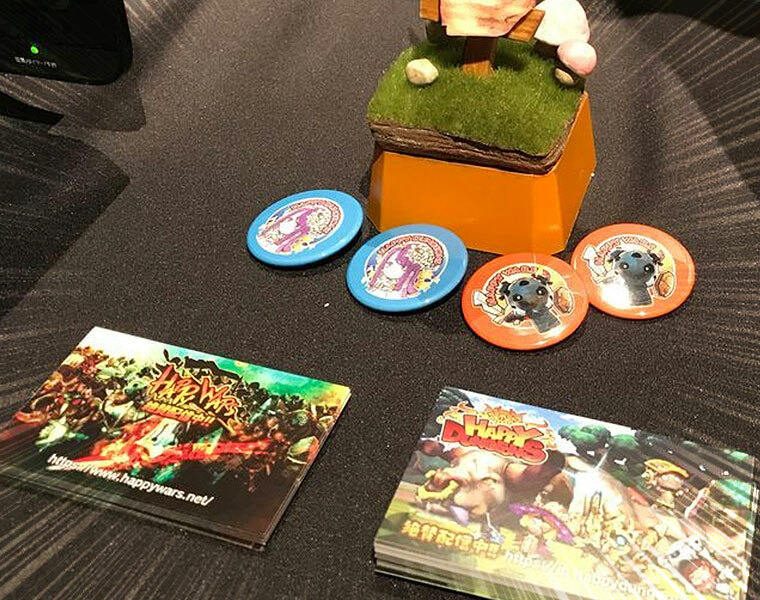 It warmed all of our hearts to hear people say our game is fun, or that they want to play it more. 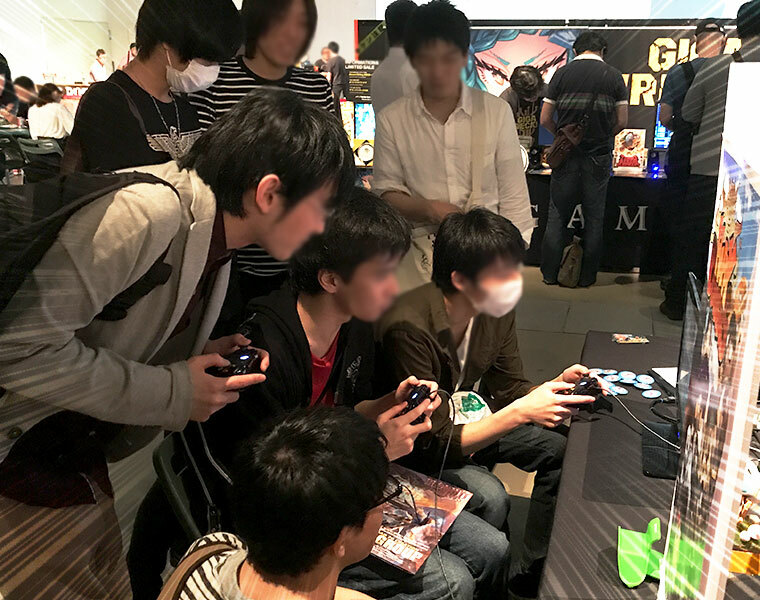 It was all thanks to BitSummit that we got to hear player reactions directly! 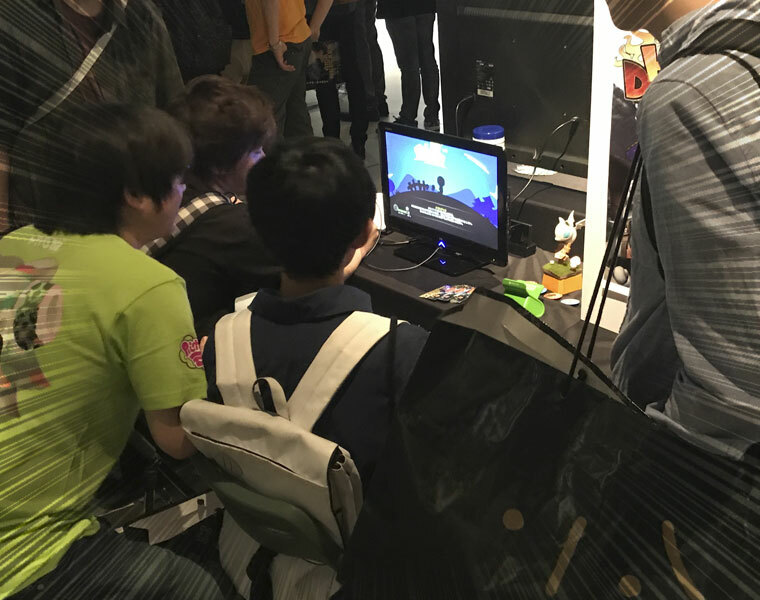 Entering day two, our team was feeling so great thanks to the incredible kindness of everyone who came and played our game on the first day, that the producer fainted! But don’t worry, we always keep an extra few Soma around for just such an occasion. Thank you, from the bottoms of our hearts, to everyone who came out and played! That’s all for the event report. 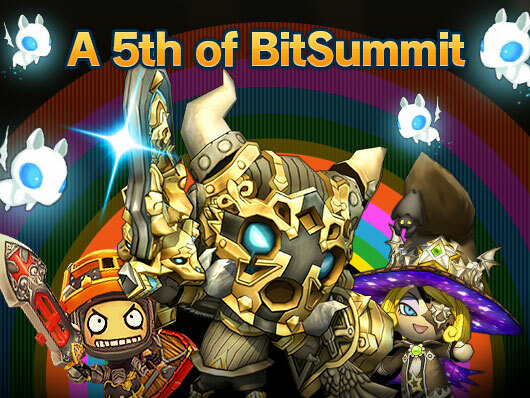 This event has further strengthened our resolve to continue improving Happy Dungeons and making it the best game it can be! 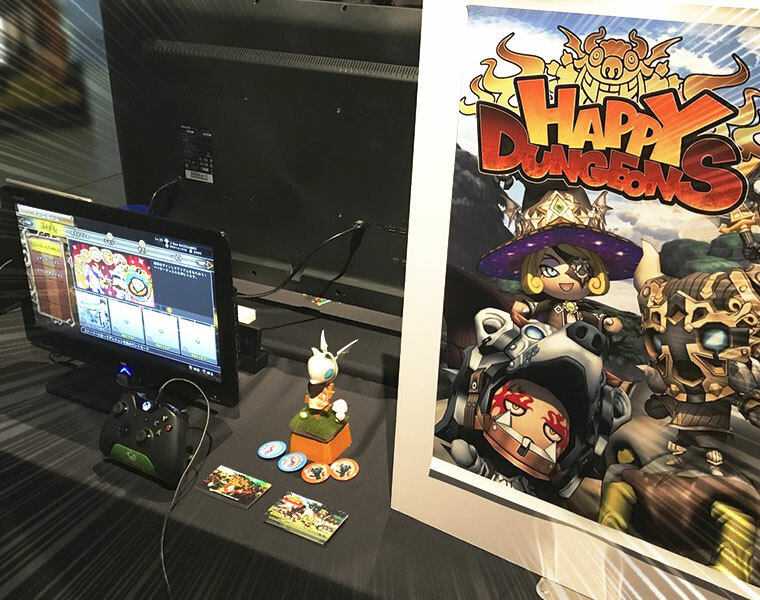 To all of you, we hope to see you in Happy Dungeons again soon! Till next time! I’m here to teach you how to crack a few heads. 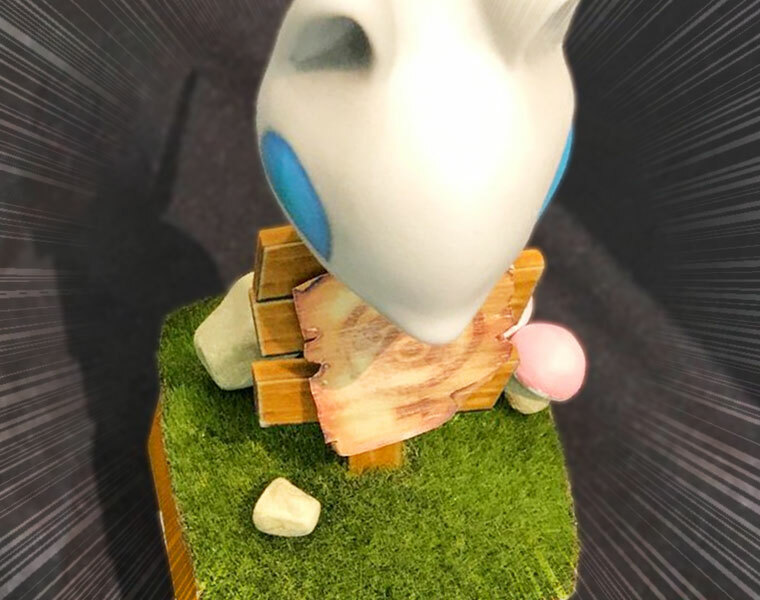 My name’s Egg and I’m here to teach you how to crack a few heads. Listen up, and think hard. What’s twice as powerful as a knight? That’s right! 2 knights! And 4 knights are twice as strong as even that! So, in the spirit of camaraderie and violence, we’re gonna talk about Multiplayer! 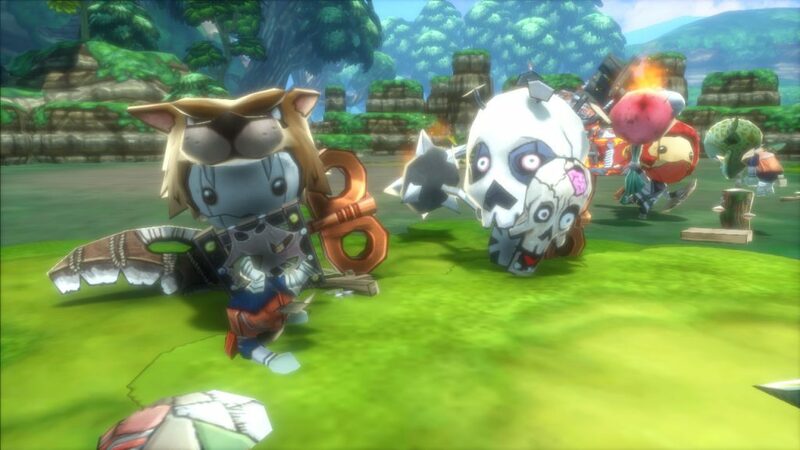 I’m sure many of you reading this have played Multiplayer before, but for those who haven’t, in Happy Dungeons, you can team-up with up to 3 other players and tackle each dungeon that way! Just head to “Search for Games Online” or “Create Game” to get paired up with 1-3 other players from around the world! Finally, for those of you with friends, annoying younger siblings, or worse, annoying older siblings, just have them grab a controller, log in to their Xbox Live account and you can start playing together in split-screen mode! Now that you know just how easy it is to jump into a multiplayer session, let’s talk about the benefits. For some of you, I’m sure the company of fellow knights with whom you can celebrate your victories and lament your losses sounds absolutely icky. If that’s the case, let me give you a few more reasons to put aside your reclusive ways and take up arms with like-minded soldiers. 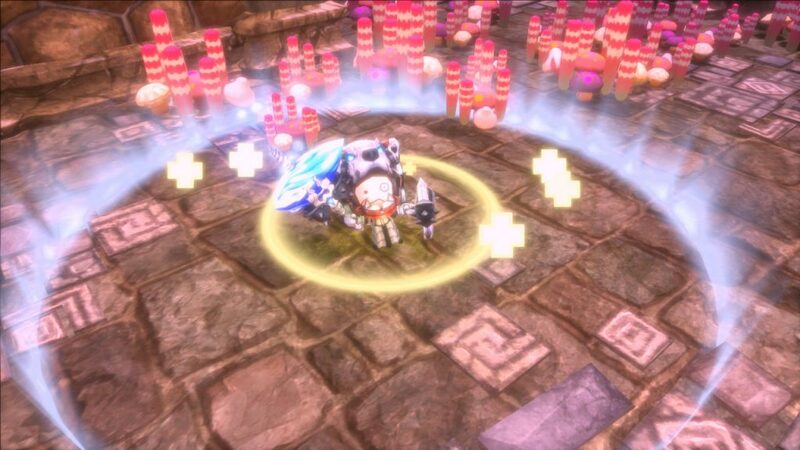 When fighting as part of a squad, the number of enemies that appear will increase proportionate to your party-size. However, this means not only will you get more experience than normal, you’ll also get bonus experience on top of that! If you’re chasing that ever-elusive level 50, then team up with a few other knights-in-training and watch the experience pour in! Experience isn’t the only thing flowing like water, either. When you’re in a party, everyone shares their Rage! This makes it as easy as can be to get your Rage count up and maintain it! Are you good at whacking things with your sword but not so good at not getting whacked back? Do you like shooting fireballs from a distance but are not so keen on fleeing danger? 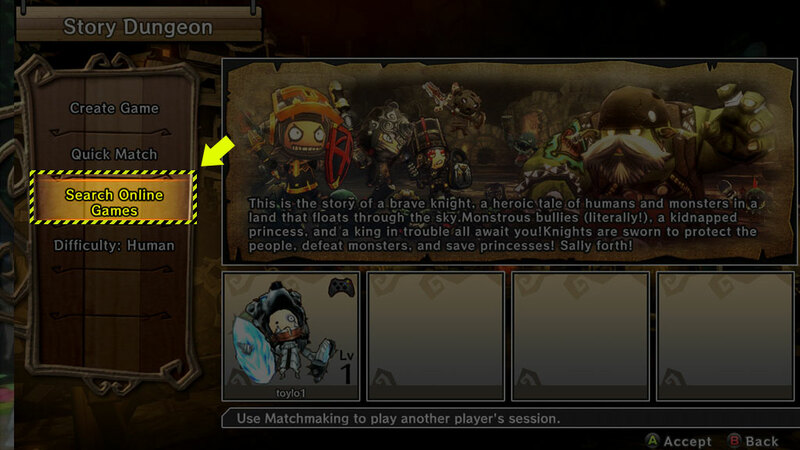 Then multiplayer mode has a solution for you! Just invite a Cleric! Clerics may struggle when taking on a dungeon alone, but in a party Clerics are indispensable! There’s no better way to save on healing potions and revives than by dragging a Cleric into a dungeon with you! Speaking of revives, if your party kicks the bucket in the middle of dungeon, it only requires one of you to spend Happy Jewels for everyone to be revived! Pretty cost-effective, eh? Alright, that’s all I’ve got for Multiplayer. Read it a few times and you’ll be cracking eggs and enemies in no time.